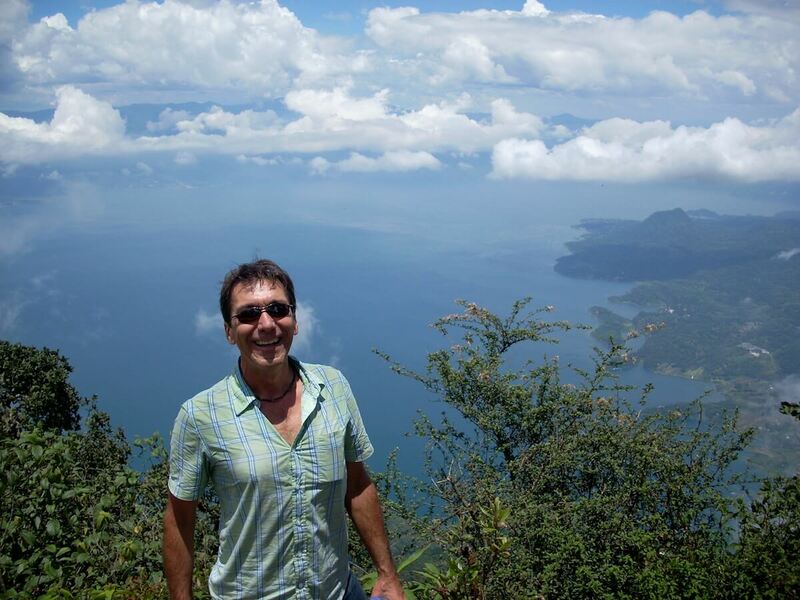 San Pedro volcano hike is the best hiking expedition at Lake Atitlan. Best views from the summit. Enjoy the early morning boat ride from many of the villages as you cross Lake Atitlan to the village of San Pedro. We will help you prepare for the hike with power snacks, lunch, and water. Our tour starts with a short ride to the visitor center, where the actual climb starts. With 3-4 hours of climbing through fields and cloud forest we reach the top of the volcano at almost 3000 meters or 10,000 feet above sea level. Enjoy magnificent views over the lake and its mountains and volcanoes on a clear day. The summit of the volcano is in the cloud forest, so many days do not have the far away views but you can enjoy the old growth forest, ferns, and birdlife that exists in the cloud forests. The upper reaches of the San Pedro volcano is one of the few habitats for the Horned Guan.Due to ongoing habitat loss, small population size, limited range, the horned guan is evaluated as Endangered on the IUCN Red List of Threatened Species. The horned guan (Oreophasis derbianus) is a large, approximately 85 cm long, turkey-like bird with glossed black upperparts plumage, red legs, white iris, yellow bill and a red horn on top of head. The breast and upper belly are white, and its long tail feathers are black with white band near base. Many birdwatchers/ornithologist travel to Guatemala and the San Pedro volcano specifically to view this rare bird. Relax for a bit and enjoy your well deserved lunch at the summit. After lunch we descend back to the visitor center. 1-2 persons, $90.00 per person. Check this list of all the volcanos in Guatemala. Volcanos of Guatemala.